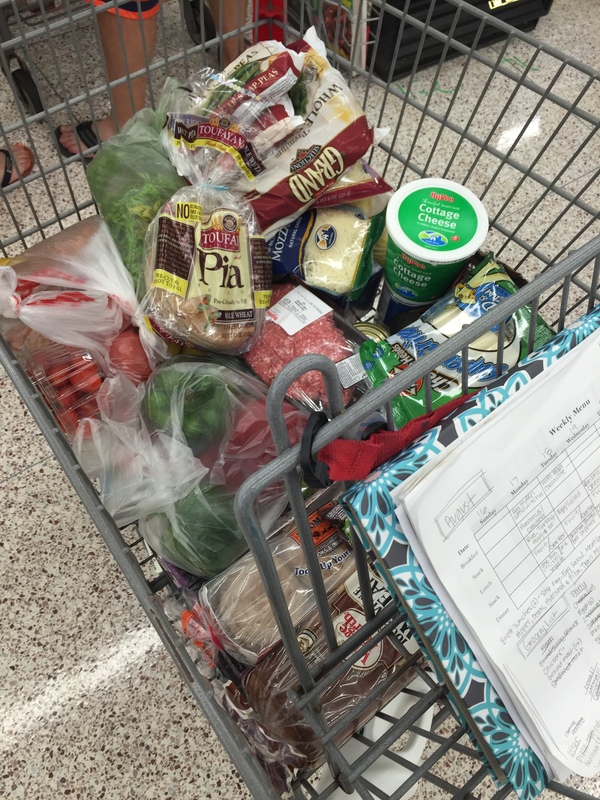 School Year Meal Planning & Preparation – A Healthy Dose of…. In getting prepared for the new, upcoming school year I decided I needed to plan all meals out ahead of time. I am going to have a 17 month old (Lola) and a 3 month old (Mallory, a little girl I am sitting) and it is going to keep me on my feet for at least the first few weeks of adjusting to the new schedule. I am going to do my VERY best to get a set schedule in place (allowing changes with growth of course) so we can all have good expectations each day. I am sure I am going to be needed mom support as soon as we get going!!!! We have been meal-preppers at my house for many years now. Ever since it has been summer time & we have been either both at home or on trips/vacations for the past 3 months, we have been taking a break. To kick of the school year the right way I have been working on my WEEKLY and MONTHLY meal plans (here is the website). On the weekly meal plans I am mostly focused on food that we are eating in the house, during the day. I am also planning meals for Brett to take to work, but he likes them pretty simple such as stir fries & sandwiches! He will eat the same snacks that we are eating at the house. The monthly meal sheet is going to be used for dinners. I may use them to make a note or plan for other meals but generally that is what I will use them for. 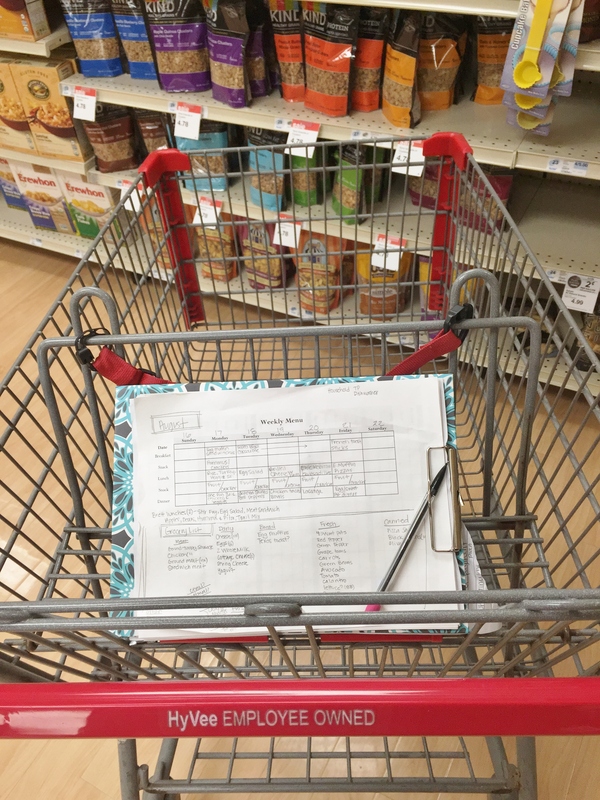 Here is my meal sheet planned out for this week & our weekly HAUL! We got everything we need for the week (minus some things we have at home already of course) for $90 and that included my NOT needed La Croix!!! WAHOO! This is my first week of ACTUALLY sticking to the plan. Meaning no stopping for snacks or dinners anywhere. These groceries should last us breakfast, lunch, dinner & snacks for all 3 of us, all week!!! I will keep you updated! Since I am staying home this year we are going to be cutting our spending WAY back until I get some income coming in. Therefore I am having to be smarter about using all the food that we have in the house for the week. For instance next week I have breakfast sandwiches with English Muffins for breakfast a few days and then we will also use the English Muffins for mini pizzas for lunch. This way we are using all of the food but not eating the same thing everyday!!! I try to be creative when I am planning. It is fun for me! These are just a FEW ideas that we use at home. I generally use the terms “clean eating” “healthy dinner” “paleo meal” etc. on Pintrest while searching. I hope this is helpful for you. Please share what you do to keep your family on track, healthy, and on a budget!!! !